I believe you are beautiful. Just like this. I believe your stories matter. Right now. And I have decided my life's work will be to convince you of the same. Beautiful families do not happen by accident. They are the result of years of hard work, sacrifice, grace, and patience, and that's why I want to celebrate and honor them. That's why I want to turn my camera toward mothers and fathers and sons and sisters. Because I think they are marvelous and important and so very worth documenting. These are once in a lifetime moments, whether this is your first baby or your tenth. This new little soul and your bond with it - it's worth stopping and awing over. It's worth making a record of how this baby looks in your arms, and what your home and your life felt like, right after they arrived and changed everything. 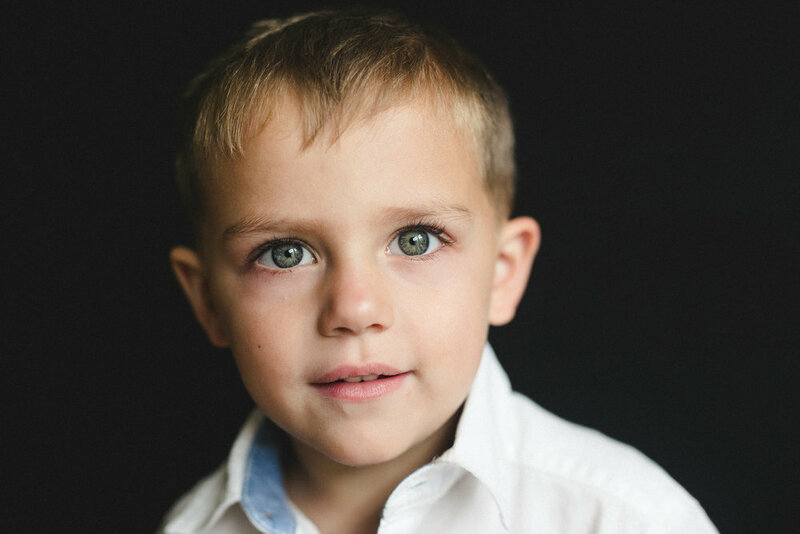 Think about it - school portraits have been obsolete for a long time. Why are there still so many lifeless smiles and strange backdrops? There is a new, very simple and honest approach to school photography that is growing in popularity, and I, for one, am excited.